When truck accidents happen, a lot happens. It can be painful and take a huge toll on our health, comfort and even finances but on the other hand, you can make a case and be paid to make up for your troubles. Several individuals have made claims and acquired full settlement by hiring the services of skilled accident attorneys. You can get a skilled truck accident attorney in Palmdale, CA by quickly putting a call through to us at Rawa Law Group. We are a 5-star law firm that serves injured victims of truck accidents with the required legal representation to ensure that they are fully compensated for the unfortunate event. We have some of the most skilled truck accident attorneys in the state and we have more than 50 years of combined experience of legal practice. Our attorneys are trusted and well-trained and pay attention to our clients. They are highly cooperative and give personal one-on-one attention to our clients. When you hire our services, you do so at no upfront cost to you because we offer a free case evaluation and take payment from you only when we have won you your case. If you choose to work with us, while we treat your case, we keep you abreast of what’s happening and the legal direction we are towing to ensure we win you the case. With our flexible appointment hours, you can take conflicting schedules off your mind. We also make home and hospital visits when necessary or requested. At Rawa Law Group, our resolve to get a legal presence for the injured is undeterred. 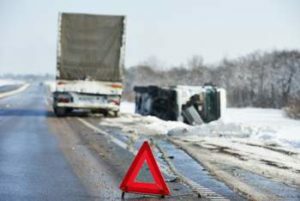 Take advantage today and hire a skilled truck accident attorney in Palmdale, CA.